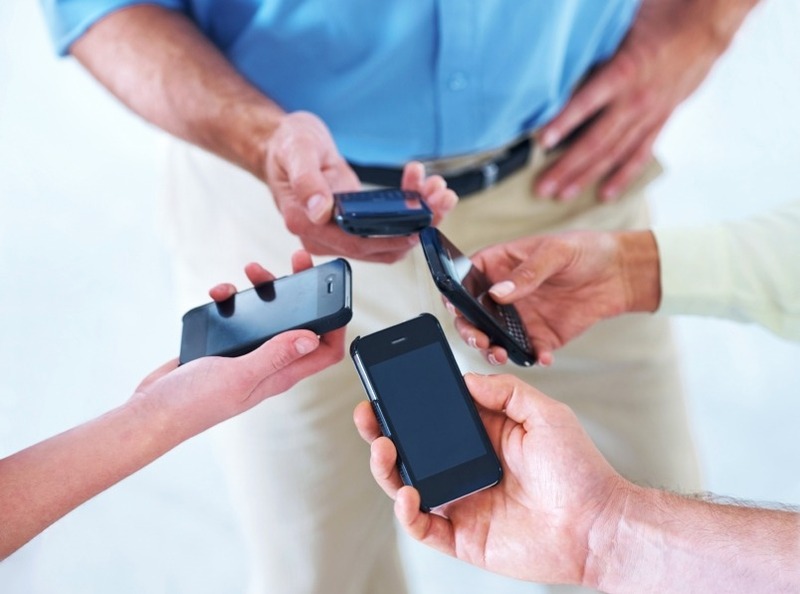 We look at the intricacies of the rules around mobile phones and loans to employees. Employers may provide many benefits to employees in addition to their salary or wages. Some of these benefits can be tax-effective, in that the employer or employee (or both) may save tax by providing a benefit rather than cash. Normally if an employer provides an asset to an employee for their personal use, the employee has to pay tax at the rate of 20 per cent of the asset’s value for a whole year. A mobile telephone is specifically exempt from tax under Income Tax (Earnings and Pensions) Act 2003 section 319. This means that when an employer provides a mobile telephone to an employee, the employer can deduct the cost of a mobile telephone from taxable profits but the employee does not have to pay tax on the benefit of being provided with the telephone even for private calls. The first thing to figure out is whether an appliance is a mobile telephone. In recent years we have seen smartphones that are capable of doing many things other than just making telephone calls. Conversely, we have seen computers and tablets acquiring telephony facilities. In short, computers and telephones are slowly merging. The statutory definition of a mobile telephone is: a telephony device that is not connected to a landline. This includes telephones in cars, vans and other vehicles. It does not include cordless telephones or telepoint telephones that work from a landline. Until 20 February 2012, HMRC considered that smartphones were not mobile telephones and so an employee would be taxed if provided with a smartphone. On 20 February 2012, HMRC changed its mind and now accepts that smartphones are mobile telephones and may be provided without incurring a tax liability. The previous view of HMRC was made in 2007 when it decided that ‘personal digital assistants’ (PDAs) were not mobile phones. The original view was that smartphones were simply modern versions of PDAs. HMRC now accepts that the matter is to be determined by the primary purpose. This means that recently acquired PDAs will probably also be regarded as mobile phones. Equipment that is primarily a computer but has telephony functions is unlikely to be regarded as a mobile phone. If in doubt, we can assist in advising whether an appliance comes within the exemption. A mobile phone that may only be used for business purposes is not taxed in any way. The employee is simply using the employer’s assets for the employer’s business. Suppose an employer provides an employee with two mobile phones. One is for business only, the other may also be used for personal calls. The former is excluded as it is a business asset. The latter is excluded as it is an exempt benefit under existing tax law. The latter tax exemption for mobile phones only applies to one mobile phone per employee. So if an employee is provided with two mobile phones that may be used for personal calls, one of them will create a tax liability for the employee. This is one of the areas where the law has changed. Also, the exempt benefit only applies to an employer-provided mobile phone. Where, for example, the contract is in the name of the employee and the employer simply pays for the monthly cost, this will be considered a taxable benefit; only the cost of business calls can be deducted from calculating the taxable benefit. There can be a tax charge if a mobile phone is provided to a member of the employee’s family or household, rather than to the employee directly. It is becoming increasingly common for employers and employees to agree salary sacrifice arrangements. These work by the employee giving up some of his or her salary in exchange for a benefit. This usually saves the employee class 1 national insurance contributions (NICs), and so is a tax-effective arrangement. Salary sacrifice is not always so tax-effective for the employer. Although the employer saves employer’s class 1 NICs, the employer must pay class 1A NICs which is usually of the same amount, though paid later. Sometimes the benefit may be tax free, in which case there is a further benefit for the employee and possibly also for the employer. Normally a salary sacrifice arrangement requires a change in the contract of employment. Unusually, mobile phones may be provided under a salary sacrifice scheme on terms where the employee has the right to surrender the phone for additional wages or salary. We can ensure that any such scheme works as you wish it to. An employer may wish to use vouchers as a means for enabling an employee to make personal calls from a mobile phone. This can mean that the provision of a voucher creates a liability to PAYE and national insurance on the value of the voucher. From April 2006, the provision of a voucher is exempt from PAYE and national insurance if the voucher allows the mobile phone to be used for private calls but only in circumstances where there would be no charge to tax if a voucher had not been used. There are many reasons why an employer may want to provide financial assistance to an employee. The employee may need a lump sum each year to buy an increasingly-expensive season ticket. An employee may need assistance in relocating in connection with work or to meet the requirements of a new job. An employee may have got himself or herself into financial difficulties and the employer may be willing to help. Any financial assistance provided by an employer is likely to be a taxable benefit in kind, unless it comes within the scope of a specific exemption. A short-term or payday loan may be made as an advance on salary. Suppose an employer agrees to ‘sub’ an employee £500 until the next pay day. The employer simply gives the employee £500 without any tax or national insurance deducted. At the next pay run, the gross pay is subject to tax and national insurance in the normal way, with the advance deducted from net pay. For a larger loan, the employer may be willing to accept repayments over several months. The same arrangements will apply, in that each loan repayment is deducted from net pay. First, there is a limit above which a loan triggers a tax charge. The limit is £10,000 from 6 April 2014 and £5,000 to 5 April 2014. If the amount lent does not exceed this figure, there is no liability to tax and national insurance. If the loan is above this figure, the employee is regarded as receiving a taxable benefit in kind if the loan is either interest-free or charged at less than the ‘official rate’, which is currently four per cent. Second, under employment law, the employee must give written authorisation for the deductions to be made from his or her payslip before the loan is made. We can ensure that any loan arrangement is set up properly.